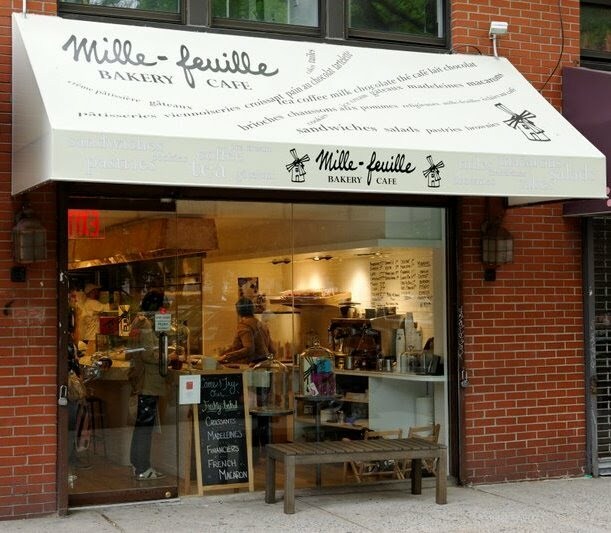 For those of you who love authentic, deliciously-perfect macarons as much as I do, you must stop and treat yourself to one (or three) of Chef Olivier Dessyn's creations at Mille-Feuille Bakery on LaGuardia Place. 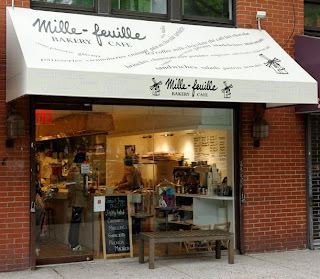 A friend of mine introduced me to this delightful Parisian paradise before the New York Times, Serious Eats & the Village Voice gave their glowing reviews. So far on my visits I have tried the Pistachio, Rose, Raspberry & Passion Fruit. Each and every single one have been utter-perfection. Side-Dish: As many of you know, my daily caffeine consumption is always in the form of iced tea - well, Mille-Feuille's iced Earl Grey has also been added to my list of top-favorites!